An IRISH YouTuber has joined the ranks of Forbes’ highest earners | SHEmazing! 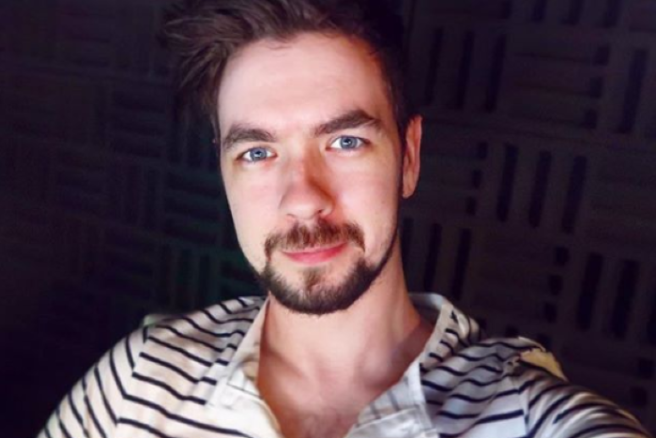 Irish YouTuber Seán McLoughlin, who has almost 21 MILLION subscribers, has now become one of the video platform's highest paid stars, according to Forbes. The 28-year-old, who is known to his many followers as Jacksepticeye, earned a whopping €14 million from mid-2017 until May 2018. This means that the star is number eight in the publication's top 10 highest earners. Hailing from Athlone, Seán McLoughlin has been uploading reviews and commentaries on video games for nearly seven years, and in total his videos have been viewed over 10 billion times. He refers to his own videos as an “assault on the senses” that people “either love or hate”, and says using curse words is a major key to his success, weirdly enough. “The more you swear the better. People react very positively to that, apparently.” Strange… but very Irish. McLoughlin has made a Disney series despite the dodgy bad language, and is developing content for the live-streaming platform Twitch. He has also launched Cloak, a a “high-end athleisure and lifestyle line for gamers”, with Mark Fischbach (YouTube name Markiplier), who is number six on Forbes' list. Pre-sale items in the range sold out in 48 hours, but our question is why do gamers need sporty clothing? The tob earning Youtube channels currently are Ryan ToysReview, Jake Paul, Dude Perfect, DanTDM, Jeffree Star, VanossGaming, VanossGaming and Logan Paul. Yep, the one who filmed a dead body. Ryan, of Ryan ToysReview, has over 17 million followers and almost 26 billion views. Oh, and he’s also seven years old. The child millionaire earned most of his money from adverts shown before his videos. Wow…2018 is a wild ride. Baby millionaires, people who film dead bodies earning a fortune and video-gamers forking in €14 million from their laptops.